There's plenty to like about this TV, but it's not the best model on the market. When the TC-60CX800U first came out, it was a pricey $2500. Recently, we’ve seen it selling online for a more realistic $1899. 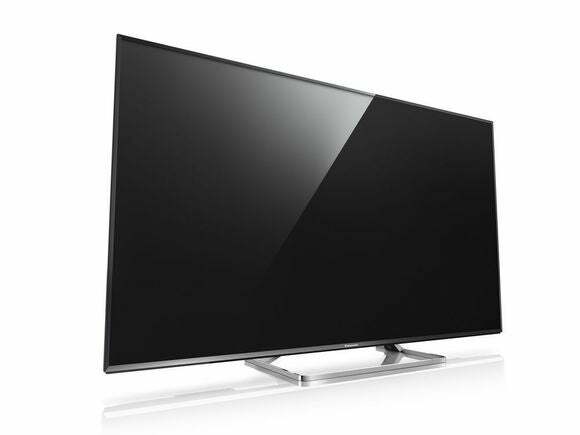 It’s a capable 3D UHD TV with a sharp picture, fine color acuity, and a ton of connectivity features. It also did by far and away the best job of processing 25fps Ultra HD video files of any TV in the roundup—and there’s a lot of 24- and 25fps home video out there. But it lacks contrast compared to the competition. The TC-60CX800U is a 59.5-inch smart TV with Ultra HD resolution (3840x2160 pixels) and a 120Hz refresh rate (nevermind the “240 Image Motion” number—it’s not a hardware spec). It weighs in at a manageable 53 pounds, and it comes with an easy to set up stand. You will need a Philips screwdriver, but it’s a mere four-screw operation. Each of its three HDMI ports support HDMI 2.0 and HDCP 2.2, so you don’t need to worry about future copy-protected content being playable. There’s also MHL (for mirroring the display of mobile devices), which in Panasonic-speak is part of Viera-link. There are three USB ports: one is USB 3.0 for fast storage and two are USB 2.0 for attaching peripherals. Bluetooth is also on board, but it’s for mice and keyboards only—you can’t use it to connect wireless headphones or speakers. The way the TC-60CX800U processes video is a joy to behold. All videos, including 25fps h.264 files, were rendered smoothly and evenly. It was the only TV in the roundup that could make that claim, including the LG 65UF9500, which costs quite a bit more. But the TC-60CX800U was lacking in contrast compared to its rivals. And, though there were no major issues with screen uniformity (dark or light areas), there were seemingly lots of subtle ones throughout the display. The relative lack in contrast serves to highlight these issues. 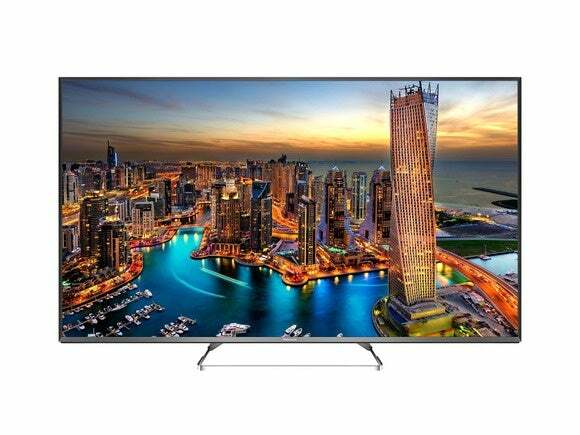 Panasonic’s 59.5-inch TC-60CX800U offer good features and performance, but we like the LG 65UF9500’s picture quality better. There’s support for HDMI ARC (audio return channel), so you can send audio from the TV to a soundbar or A/V receiver, and there’s an optical S/PDIF output, too. That’s a good thing, because after hearing the internal speakers you’ll immediately want to connect the TC-60CX800U to some type of audio system. The onboard sound is good for TV news, but it’s basically useless for everything else, and no amount of tweaking made a difference. Audio codec support is weak, which is another reason you’ll want to have outboard audio gear on hand. Where the Samsung and LG play nearly every format out there, the Panasonic is limited to MP3, M4A, and FLAC. It won’t even play WMA. This from a TV that supports DLNA streaming and provides a Wi-Fi hotspot for other devices to connect to. Panasonic needs to step up its audio game, which was easily the weakest in the roundup. The Firefox OS/Panasonic user interface is a breeze to navigate. Everything is nicely organized and easy to find. My biggest complaint is that the settings menu obscures most of the display. It’s harder than it should be to see the effects of your adjustments, which are implemented in real time. Other than that—nice job. 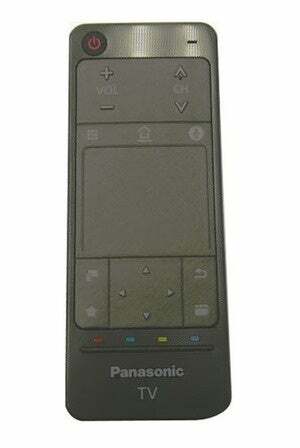 The Panasonic's secondary remote is a minimalist touchpad type. Panasonic ships the TC-60CX800U with two remotes. Thankfully, one of these is a minimalist touchpad type. You need to use the tons-o’-buttons main remote to pair the touchpad to the TV, but then you can cut it loose—most of the time anyway; I was unable to exit the update page with the touchpad and had to use the conventional one. In a similar incident, the USB keyboard I attached wouldn’t work in the Amazon app or in the settings menu, and the movie file playback kept throwing me out when it encountered a file it didn’t like. If you’re looking to go app-crazy in your spare time, this is not be the TV for you. There are no alternative players, such as VLC, for example, to broaden the TC-60CX800U‘s narrow audio file-type support. Most of the big video-streaming services such as Netflix, Amazon, and YouTube are on hand, but the pickings are slim for music streaming. The TC-60CX800U has great smart TV features, especially the DLNA serving and Wi-Fi hotspot. I’d like more contrast, but at least one visitor to the lab preferred this TV over the others. Taste is indeed in the eye of the beholder, and many of this unit's peccadilloes will be meaningless to the average user, so take a look. Though this TV doesn't offer boatloads of contrast, the colors are generally true and it's an ace at decoding and enhancing all types of video. It also offers home streaming features such as a DLNA server and a Wi-Fi hot spot. But the app count is low and it doesn't support a lot of image or audio formats. Still, all things considered, it's a very good TV.